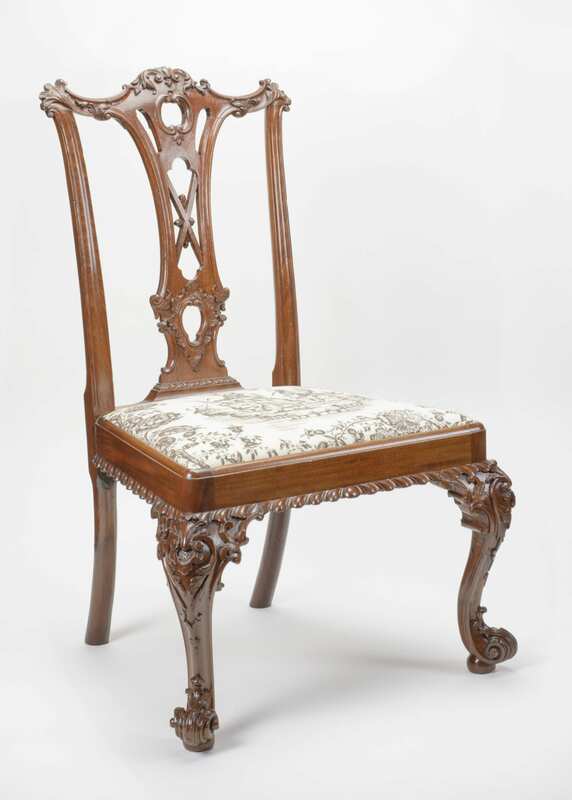 We recently celebrated the 300th anniversary of Thomas Chippendale’s birth. In honor of the 18th-century cabinetmaker and his influential publication The Gentleman and Cabinet-Maker’s Director, objects from the Winterthur collection will be on view in this exhibit in the center gallery on the first floor. Using two different editions of Chippendale’s publication, furniture inspired by Chippendale’s designs, and other objects in the rococo taste, the exhibit will explore the expression of rococo style in England; showcase designs by Chippendale and several of his contemporaries and collaborators; and highlight the influence of Chippendale’s designs in furniture by Philadelphia cabinetmakers. Chippendale style continued to influence furniture designs of the late 19th and 20th centuries and has even been represented in popular culture.